Very nice dress shoes or Tango shoes. The under-the-arch strap holds foot securely and gives you the best arch support. 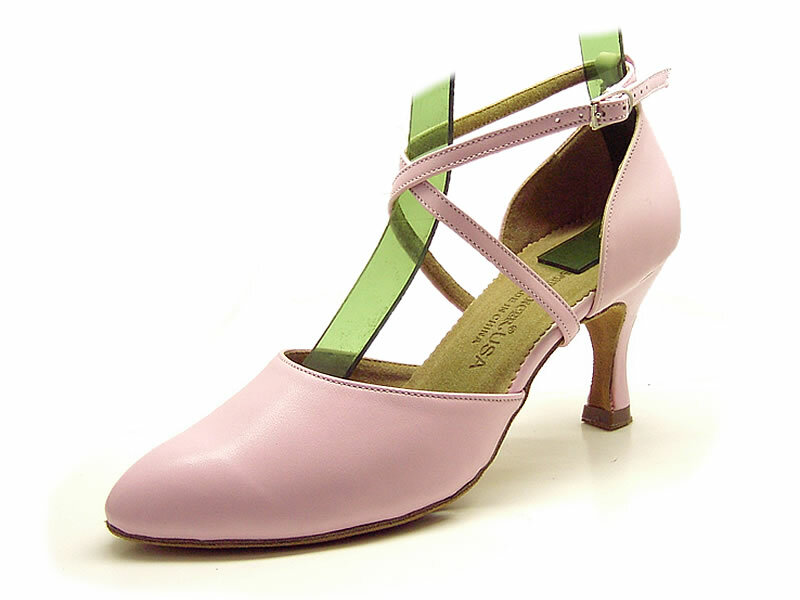 Picture shows pink leather(K7) with 3" sf Heel.